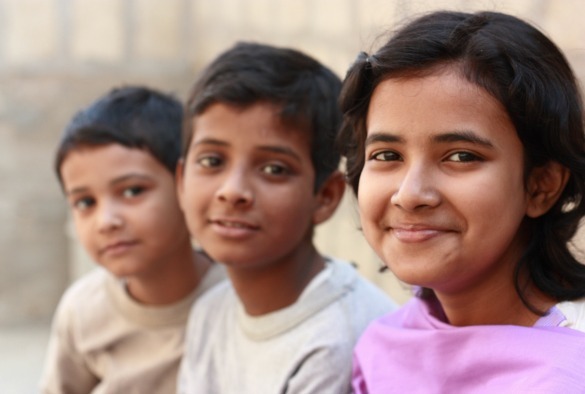 Successfully tested it in India and Pakistan, the partnership aims to improve treatment for an estimated five million children in the region with the disorder. Autism is one of the world’s fastest growing developmental health challenges, with up to 70 million people affected, causing a severe effect on the social development of children. In developed countries children are able to receive specialist treatment to improve their interaction with their families, but in many lower income countries, this is not available. As a result, researchers, funded by the Autism Speaks Global Autism Public Health Initiative, adapted a leading UK therapy method known as PACT which helps parents interact better with their autistic child. The resulting PASS (parent-mediated intervention for autism spectrum disorder in south Asia) programme was taught to non-specialist health workers in Rawalpindi, Pakistan and Goa, India who then worked with parents of the 65 autistic children who were recruited to the trial. The PASS materials were all presented in the parents’ first language and each period of treatment began with a session on the causes and misconceptions about the condition. At the end of the 12 week period the children were assessed using recognised methods. The parents were shown to have learned from the intervention and the children were more likely to initiate communication with their parents. Professor Atif Rahman from the University of Liverpool and Professor Jonathan Green from The University of Manchester, lead authors of the study, said: “We’ve shown that these techniques can help children in the UK, but in south Asia, there are factors such as lack of resources, trained staff, language and cultural differences and poor access to medical centres which means that methods need to be adapted. Professor Atif Rahman is a clinical academic working in the University of Liverpool’s Institute of Psychology, Health and Society, specialising in child and adolescent psychiatry, with an interest in the mental health of women and children in developing countries. Professor Jonathan Green is Professor of Child and Adolescent Psychiatry at the University of Manchester and Honorary Consultant Child & Adolescent Psychiatrist at Central Manchester and Manchester Children’s Hospitals University NHS Trust and Manchester Biomedical Research Centre. The paper, ‘Effectiveness of the parent-mediated intervention for children with autism spectrum disorder in south Asia in India and Pakistan (PASS): a randomised controlled trial’, has been published in the Lancet Psychiatry. Researchers who also collaborated in this paper also came from, Institute of Psychiatry, Rawalpindi Medical College, Pakistan; the Human Development Research Foundation, Islamabad, Pakistan; Sangath, Goa, India; London School of Hygiene & Tropical Medicine and Royal Manchester Children’s Hospital.